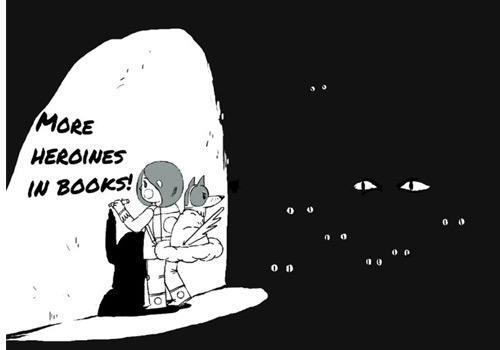 Where Are All the Heroines in Books? A few weeks ago I read about a seven-year-old girl from California who trotted off to the public library and came across a book on insects with the header – The Biggest Baddest Books for Boys. George Town World Heritage Incorporated (GTWHI) Interpretative Centre opened to much fan fare yesterday with the presence of Chief Minister Lim Guan Eng and GTWHI General Manager Madam Lim Chooi Ping who both officiated the event. 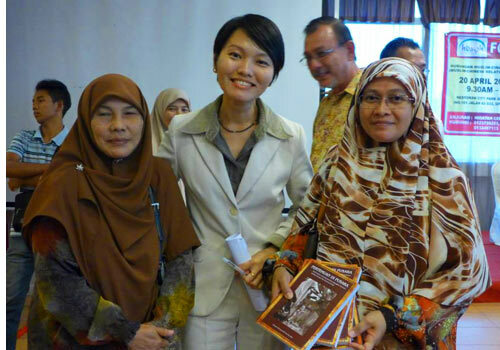 A couple of years ago, I had the great pleasure of meeting Tan Ean Nee after she launched her book “The Way Home” (together with co-author Joshua Wong), a chronicle of the lives of leprosy patients from the Sungai Buloh Settlement. Her tireless work to document and piece together broken families is truly inspiring. 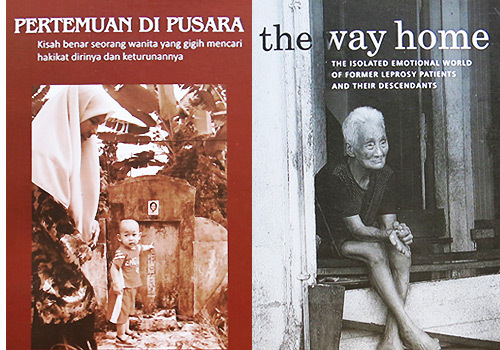 Before writing the book, Ean Nee was a host for a current affairs TV programme where in the process of carrying out research for an episode she discovered more about the Settlement’s history, the lives of its inhabitants and the Leprosy Act. This immensely cruel Act prohibited leprosy patients from raising their own children; soon after giving birth, mothers would be forced to give up their babies for adoption and in many cases would never see their kids again. Often, the adopted children were brought up completely unaware of their history. Others were told the truth by their adoptive parents and in some instances tried to reconnect with their birth parents. For the leprosy patients and their children, finding each other was a long often heart-breaking process hampered by the stigma attached to leprosy and public indifference. Before families could be reunited old age took its toll, leaving the grown-up children without the chance to speak to their birth parents, to hear for themselves the heartbreak of forced separation and the many years spent wondering where they were and how they had grown up. Ean Nee’s research brought her closer and closer to the remaining patients to the extent that she made the very brave decision to leave her job in TV to devote herself to preserving the Settlement’s legacy. She and the volunteer team set about collecting oral histories and most importantly trying to reconnect the fragmented families like a modern day Sherlock Holmes piecing together small clues and faded memories. The stories she captured in her first book are truly haunting, yet beautiful. Love blossomed in Sungai Buloh as evidenced by the many children who were born there and subsequently given away. Love kept couples, friends and staff bound together in a tightly knit community which was shut off from the outside world. But instead of brick walls, stigma and fear kept society away from the community. What I found so fascinating about Ean Nee’s research was how she immersed herself so totally in her new calling. She’s determined to ensure that the personal history of the leprosy patients and their community is not lost to time and apathy. This isn’t simply a history project for her, but an attempt to reconnect lives that have been torn apart by heartless legislation and to hold up a mirror to society. In a world that needs to do so much better she’s a reminder of how a single, determined individual can make all the difference. More about the Sungai Buloh Online Museum. Here to order books or visit Ean Nee's Facebook page. 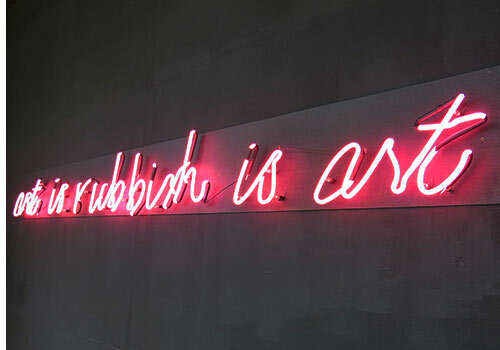 Hung high in collectors' homes or hidden away behind museum walls, 2D art can have the (often undeserved) reputation for being inaccessible. Street artist Ernest Zacharevic's recent work in George Town, Malaysia is anything but. 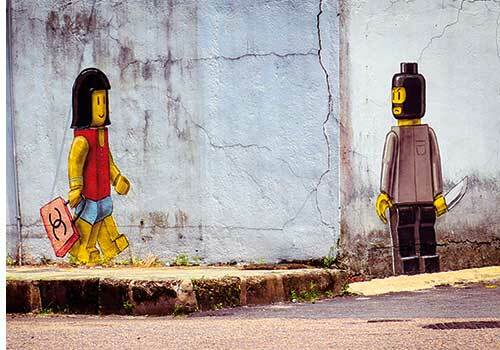 Malaysia has its own version of Banksy - street artist Ernest Zacharevic. His latest piece of work, which highlights the problem of crime, has been painted over by the authorities - but not before being widely shared on social media. PENANG food ambassador and fifth-generation Nyonya Pearly Kee has produced her first cookbook called ‘A Nyonya Inheritance’. The 98-page hardcover book features 35 traditional Penang Nyonya recipes for dishes like assam laksa, nasi ulam, tau eu bak, sambal udang, otak-otak and chun pneah. 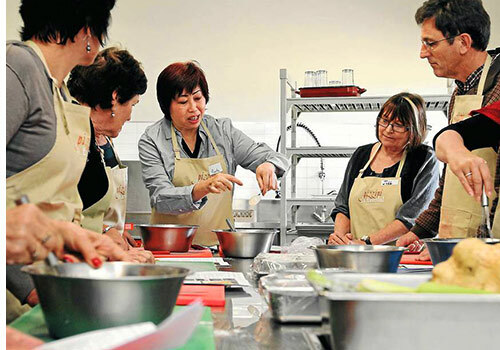 MALAYSIAN chef Pearly Kee added some extra spice to the kitchen of the King Valley’s Pizzini Wines at the weekend. 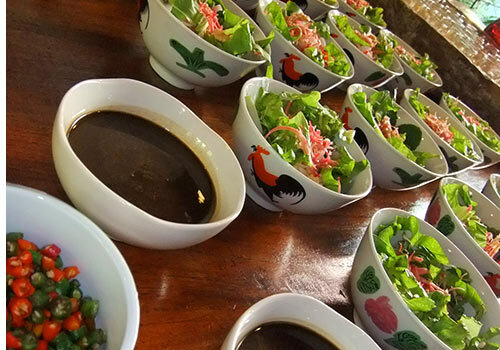 She was invited to make the visit to the North East after meeting winery owners Katrina and Fred Pizzini at her cooking school in George Town and discovering they shared a similar food philosophy.